This month we are launching our first mobile app, with our TCGI app for the iPhone and iPad. 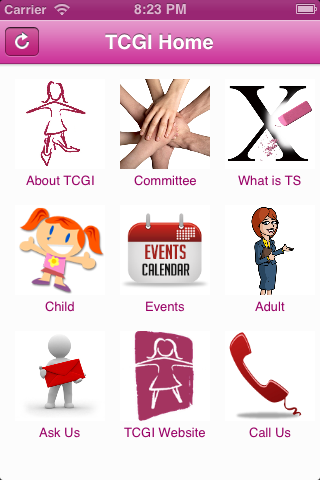 The app will provide you with up to date information on TCGI, the Committee, and forthcoming events. It will also provide support information for girls and women with TS, as well as easy ways to contact us to ask questions. We hope you like the new app. Android app to follow soon.